Roxi (PC 41) spotted this sea mouse / shaggy mouse nudibranch (Aeolidia papillosa) while recording data during the transect study at Weir’s Beach on 21 April 2015. One of the coolest things about this nudibranch species is that it feeds on anemones – mostly aggregating anemones (Anthopleura elegantissima) and plumose anemones (Metridium senile). 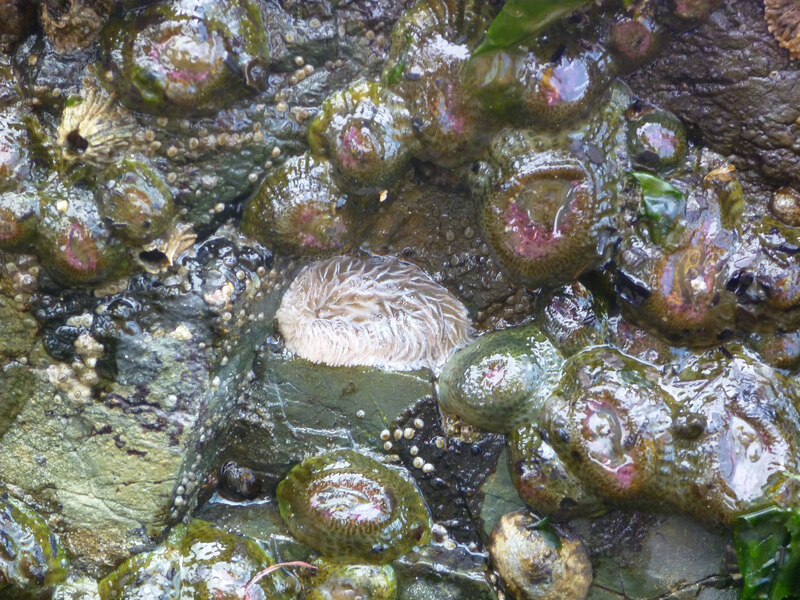 In the photo above there are many aggregating anemones surrounding the sea mouse. A. papillosa is also well-known for storing undischarged stinging cells in their cerata which are likely used for defence of the slug.